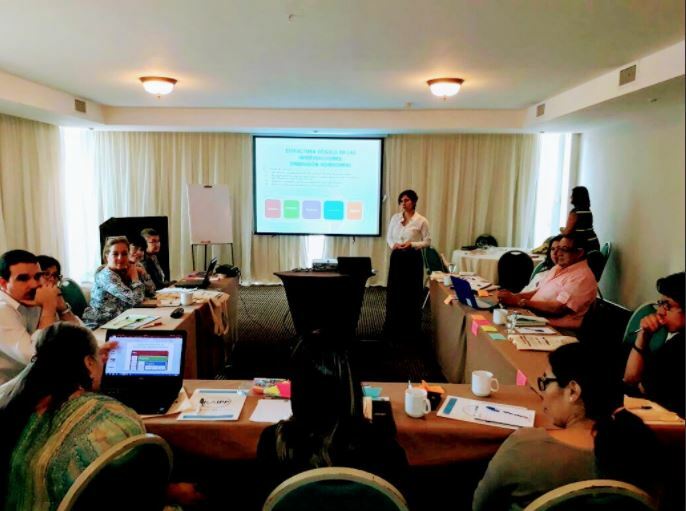 Three Latin American think tanks got together in Panama to discuss participatory M&E strategies focused on learning processes. The meetings took place between September 4 and 6. Representatives from Grupo FARO (Ecuador), ASIES (Guatemala) and CIPPEC (Argentina) got together in Panama to discuss participatory M&E strategies focused on learning process to be applied by think tanks that are members of the Think Tank Initiative – TTI. The objectives of the encounter were, in the first place, to introduce participatory M&E methodologies and tools. This was done through the use of case studies and a review of best practices. The second objective was for each think tank to draft a proposal for the strengthening of M&E practices within each organization.